Data that indicates how indoor spaces are being used is also beneficial on a larger scale. Urban planners can use it to build healthier cities. Government organizations can better deploy public safety services, saving lives. In short, the potential for indoor mapping and location data is massive. Until recently, the scenarios described above were largely theoretical. Technological barriers limited the accuracy and usefulness of indoor data. Luckily, innovators are beginning to tackle some of the biggest challenges associated with its collection and use. While recent developments are impressive, the best is yet to come. At InnerSpace, we believe 2018 is going to be a big year for indoor mapping and location data. In this post, we’ll look at some of the major trends that will shape the way indoor data will be used in the year ahead. Raw geospatial datasets are useful for analysts across domains—from urban planning to emergency preparedness. They also enable technology developers to create new apps and tools that can lead to better analyses. Governments, nonprofits, and some of the world’s biggest companies have been making more geospatial data available online. The result has been databases like Esri Open Data, USGS Earth Data, and OpenStreetMap. This trend shows no sign of letting up, and the indoors has become the new frontier. From mobile positioning datasets to Google’s map and floorplan stash, indoor information with a location component is becoming increasingly available to the public. This information has great potential across public service organizations, nonprofits, and businesses. It’s also driving the creation of mobile apps that benefit end users (by improving wayfinding in buildings and enabling personalized deals in retail, as just two examples). Indoor mapping and location have come a long way in recent years. The technologies that include these components are generating new and valuable geospatial data. Increasingly, this data will be made publically-accessible; its availability will drive further technological innovation. Outdoor data has become increasingly accessible. Recent solutions use Digital Elevation Models (DEMs) to improve the accuracy of satellite images. As a result, analysts can achieve a clearer understanding of various terrains—from the heights of sea levels to the levelness of roads and runways. But what about indoors? It’s not just the outdoors that exist in 3D. Problems that hinder the efficiency or usability of large indoor spaces are generally also better solved through a combination of 2D and 3D perspectives. 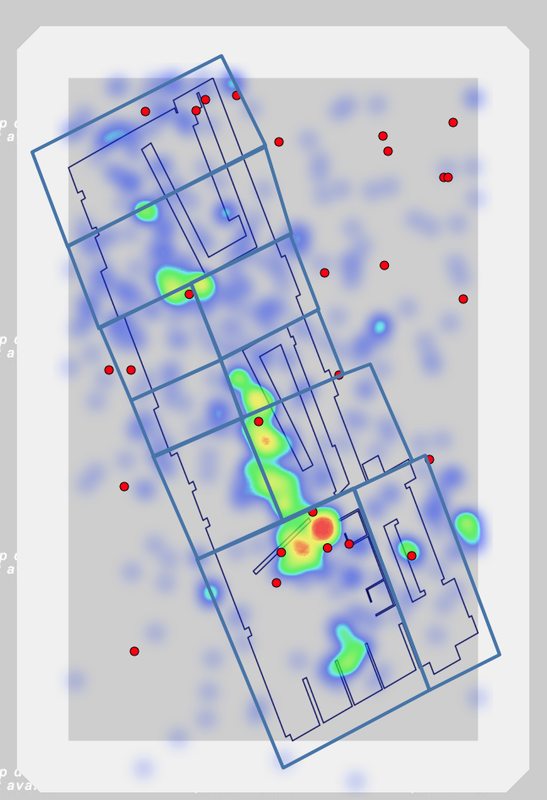 That said, capturing this type of data inside of buildings comes with its own unique challenges. It’s only very recently that we’ve found ways to overcome them. Consider the complexity of traditional systems for indoor 3D modeling. LiDAR trolleys, beacons, 3D cameras, pre-existing architectural drawings—all of these components are brought together to create makeshift solutions capable of producing 3D results. Luckily, emerging intelligence platforms like ours provide comprehensive, scalable solutions using interconnected sensors. Our sensors create quality 3D models using LiDAR components (which maintain high fidelity in various lighting conditions) and integrated positioning intelligence using common wireless infrastructure (WiFi, Bluetooth, and Ultra-wideband technology). The availability of sensor technology that’s cost-effective and widely scalable is about to set a new standard for capturing indoor data in 3D. 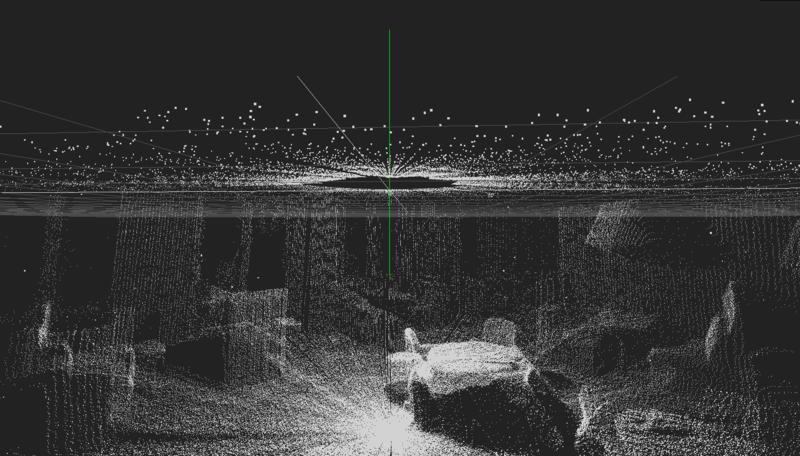 Check out the two scans below - one showing the 3D LiDAR scan of a room. The image on the right is a series of 3D scans converted to a 2D map with a heat map showcasing the traffic in the space. Check out our latest article on the state of 3D in Trajectory Magazine, the official publication for the United States Geospatial Intelligence Foundation (USGIF). Click here. Precise indoor location data has many uses—and saving lives is one of them. No small number of 911 calls come from mobile phones. When these calls are made outdoors, GPS can capture the caller’s precise location. Armed with this information, Public Safety Answering Points (PSAPs) can accurately dispatch emergency services. Unfortunately, it’s a different story when 911 calls are placed from mobile phones inside of buildings. Enhanced 911 (E911) offers support for mobile phone users who dial the emergency number. In 1996, America’s Federal Communications Commission (FCC) imposed the first set of Enhanced 911 requirements on wireless carriers. In the years since, updated rules have meant that carriers need to provide PSAPs with increasingly accurate location information (using metres as a measurement). How can carriers provide this information for calls from indoors, where GPS isn’t available? Technology that offers highly-accurate indoor location information already exists. By partnering with the right innovators, wireless carriers can make use of existing solutions to quickly and reliably meet E911 requirements. By 2019, the number of worldwide mobile phone users is expected to surpass 5 billion. As more and more emergency calls come in from these devices, pressure to comply with E911 rules will only increase. Consumers have grown accustomed to applications like Uber and Yelp, which use outdoor location data. They’re beginning to expect the same convenience when they go inside buildings. As a result, it may seem that using indoor location data is all about creating digital experiences for end users—but that’s only one half of the story. Businesses are looking at the insights that come from indoor data to improve day-to-day operations. It’s not just about directly engaging consumers or finding new revenue streams. It’s also about asset tracking in warehousing and hospitals. It’s about increasing efficiency in offices by understanding how space is being used at any given time. It’s about growing a business without increasing headcount. Indoor solutions like InnerSpace—which provides mapping and location, analytics, an out-of-the-box-wayfinding app, and an API—are becoming incredibly comprehensive. And the data is driving new thinking around how businesses can transform their operations and bottom line. Services and functions that use indoor data will increasingly be adopted to optimize performance and experience. As a result, partnerships between indoor data experts and companies that provide general enterprise solutions are about to flourish. We believe the trend will pick up steam this year, as businesses become increasingly aware of the benefits they can derive from indoor data. InnerSpace’s technology helps building owners and other relevant decision-makers create valuable experiences for end users. With the right data, hospitals can provide more compassionate wayfinding. Retailers can offer customized deals and recommendations to shoppers. Office managers can implement apps that help employees book meetings and find free desk space. Ultimately, InnerSpace enables the creation of smart buildings. That said, our innovation is part of an even larger vision. We look forward to the day when the boundary between the indoors and the outdoors disappears and an elegant blend of the two is created. Navigating a museum should be as easy as the experience you had using Google Maps to get there. Reading the digital recommendations made in a mall should feel as intuitive as reviewing Yelp’s suggestions outdoors. As 2018 progresses, we believe that businesses will focus increasingly on integrating the indoor and outdoor experiences. Part of the challenge will be finding similarly intuitive ways of presenting indoor and outdoor data. Google, the company that’s perfected outdoor mapping, has put a lot of work into developing indoor mapping and location in recent years. And in December, Apple made headlines for making maps and positioning available in 30 airports. While there’s room to improve upon these solutions, they’ve increased the public’s awareness of indoor mapping. Consumer expectations are evolving to include indoor navigation and a digital experience that moves seamlessly from outside to inside. This year, we expect that innovators will put a great deal of time and effort into meeting them.